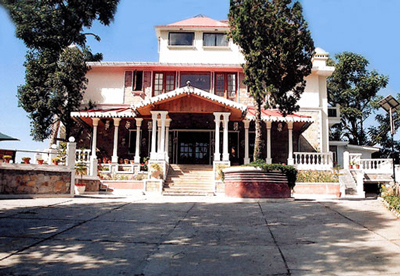 Windsor Lodge was built as a quaint hunting lodge in 1909 at Kalika Estate on the outskirts of Ranikhet cantonment. 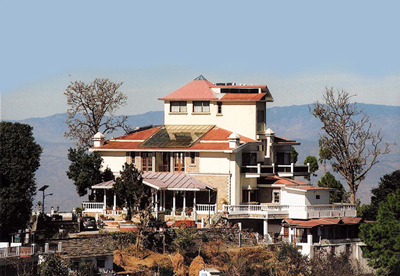 Most of Ranikhet’s Sprawling bungalows were built and owned by shah family in late 19th century. The patriarch of the family Rai Sahib Harkison Lall Shah also established Kalika Estate, a ten acre property abundant with oak and pine amidst breathtaking scenery in the midst of what was then a forest rich in wild life. The estate was beautifully landscaped with fruit trees including apple, apricot, peach, pear and plum. Windsor Lodge was the first building here; in subsequent years a few more were added including Moti Mahal in the 1920s. 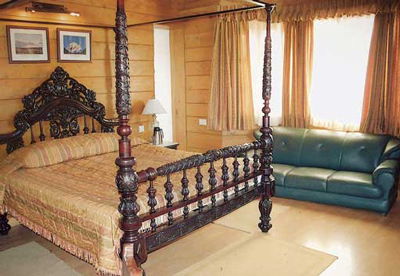 Located at a vantage point atop a wooded hillock, Windsor Lodge commands spectacular views of snow – capped Himalayan peaks, thick oak, pine and cedar forests and Ranikhet golf course. Over time, it transformed into a favorite retreat of British elite and Indian royalty seeking a pleasant country sojourn. However, a devastating fire damaged the property in 1948. And it remained a neglected ruin for the following half country.